My band, Crowfeather, was getting ready to play at Pourman's Tap House in Wilmington, and the room wasn't empty. It's what anyone who's about to perform wants to see: Every time I looked up, the room looked slightly more crowded — friends and strangers mingled, and the energy level was high. The time had come, so I sat behind my drum kit and put the gym-teacher-style whistle to my lips. I struck the snare drum and blew rhythmically into the whistle, thus announcing the beginning of our opener "Revelation #9," a song I wrote that ponders the Great Beyond. It was our first time at Pourman's, and things were off to a good start. 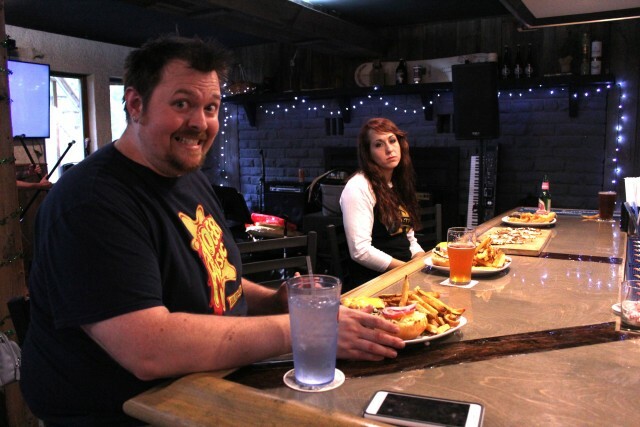 Pourman's Tap House has a great, this-is-the-place-to-be feel. There's a large, classy dining room in the front, and a set of double doors leads to a bar area in the back, which is where we played. As with any gig, the event started long before people started showing up. We met at my house in Saranac Lake at 4 p.m. and began loading gear, a task that's as necessary as it is arduous. 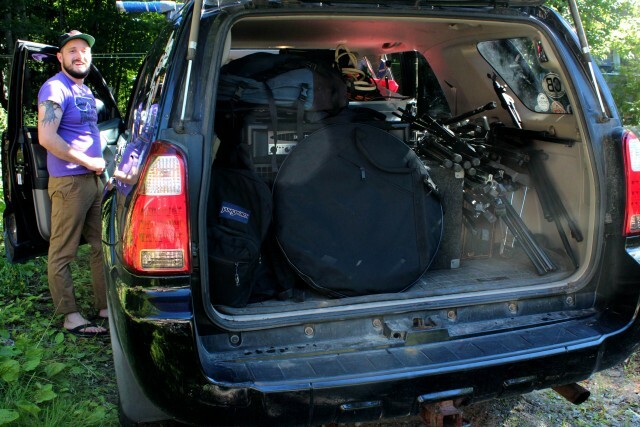 With two vehicles packed to the gills, we caravanned to Wilmington, scoped out the stage area, then got to work. We set up at the far end of the L-shaped bar, in front of the huge brick fireplace. There's plenty of space for people to mingle, and it's intimate enough so there isn't a bad seat in the house. We were early because it takes a couple of hours to get everything ready for a show. There's unloading, instrument set up, miking amps and drums, and, finally, the soundcheck. Every venue has different acoustics, so that last part is especially important. Once levels were set and everyone was happy, we took a well-deserved break and bellied up to the corrugated-metal-wrapped bar to order food. I got a burger and a beer, and both were delicious. Our friend Tim Howl was scheduled to open for us around 8:15, then we'd go on at 9. It was 6:30 and the hard work was done, making this the most relaxing and nerve-wracking part of the evening. There are a bunch of dynamics to consider when booking a show. The venue has to be a good fit for the style of music and there needs to be enough room for the size of the band — that's drums, guitar, bass, keys, and a lead vocalist for us. First and foremost, though, is the potential to draw a crowd. It's great fun to pack a local bar every time you play, but it's also great fun to play a new venue and increase your fan base. 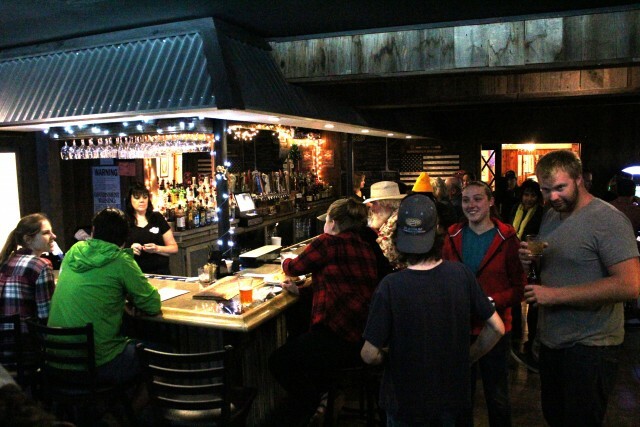 That's what Pourman's was for us — a new venue and a new crowd. As I enjoyed my burger — a perfectly cooked medium rare — I kept wondering if people would actually show up. If we failed to draw people, it's unlikely the bar would want us back. None of us are looking to be famous, but it's still a ton of fun to play to an enthusiastic crowd. That can be hit-or-miss, and I have yet to unlock the formula behind why people do or don't show up. What I do know is Crowfeather has been around for a couple of years, and we've undergone a couple of lineup changes. Those have all been beneficial, but that, coupled with the fact that most of our songs are originals, means it can take time to build a solid fan base. In short, people need to be familiar with your sound and your songs, and consistency is vital to that. I don't get nervous about playing in front of people, I get nervous about playing to an empty bar. Fortunately, that didn't happen. 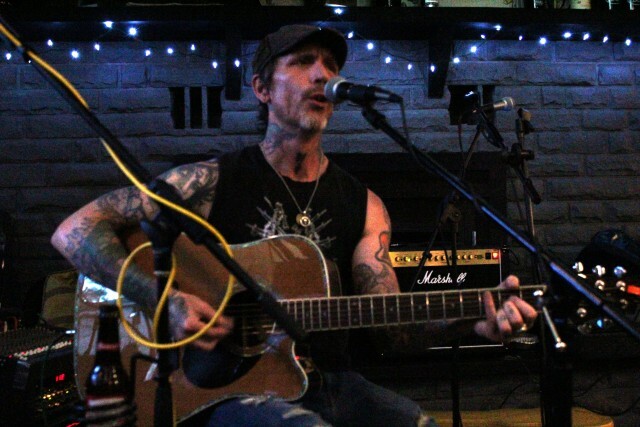 As Tim launched into his set of hillybilly punk songs, people trickled in. The place slowly filled up, and people were responding favorably to his upbeat, boot-stomping, raspy-voiced tunes. That's why we love playing with Tim — he's professional, his setup is simple (just guitar and a mic), and it's hard not to like his music. By the time we went on, the place was nearly full. It seems Pourman's is the place to be on a Saturday night, so the question became whether or not we could keep them there. The bartenders were busy filling orders, and as we launched into our first song, an upbeat, New Orleans inspired number, I could see heads nodding. It was going to be a good night. An hour-and-a-half later we finished our last song "Amorphous" and responded to the applause with an encore, a cover of "Killing in the Name Of" by Rage Against the Machine. It was clear everyone in the room enjoyed it, but the biggest test was yet to come. 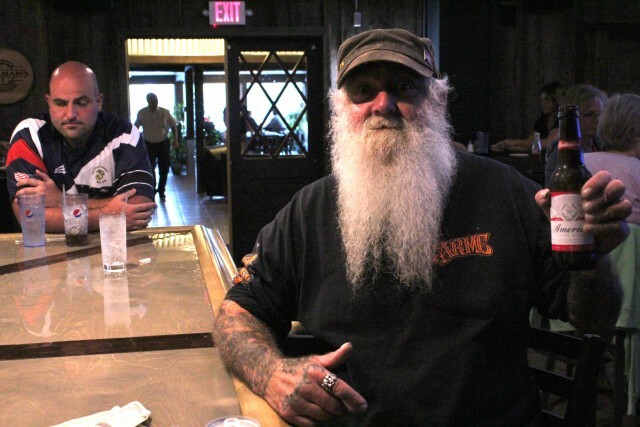 I approached the bartender, who co-owns the place with her husband, and asked how it went. She smiled. "You guys are awesome! Let's talk about booking you this fall." Fish the Ausable River or go on a hike to build up your appetite, then grab a bite in the Whiteface Region.